Nine different coaches from the NBA, college and high school levels give you the inbound plays that have helped them win some of the most critical games of their careers. 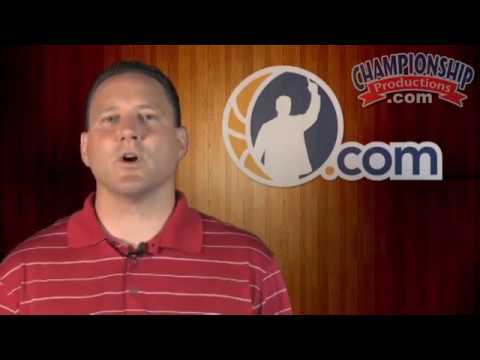 Legendary coaches like Hubie Brown, Tom Izzo, Pat Summitt, and Mike Krzyzewski show you how to score against man or zone defenses with over 25 inbound plays from baseline, sideline, and full-court situations. This collection of some of the best inbounds plays in basketball today give you the look at the basket you need to score in a variety of special situations. Chips - Coach Tom Izzo shows you how to use pin screens to create inside and outside scoring opportunities. You'll see how to use different alignments and how to get a lob for a quick score at the end of a game. The 31 and 32 plays from his inbounds collection show how to use curl shooters off of double screens at the free throw line for layups and open 3-point shots. Blue Alignment - Villanova Head Coach Jay Wright shares two plays from his "blue alignment" that create isolation for your best players to run a two-man game in space, giving you as many as eight different scoring opportunities within seven seconds. Box Alignment - 2010 USA Today National High School Coach of the Year Vance Downs demonstrates five plays from his "box alignment" that show you how to get open looks at the rim from back screen and screen-the-screener actions. Triangle Set - Former college coach Mike Montgomery demonstrates how to run a screen-the-screener action from a triangle set for some quick open looks. If no shot is available, this play flows into single-double screens for your most talented scorer to use. Duke Line Series - Former Duke associate head coach Chris Collins shares five plays from Duke's "line" series. Each play highlights a different player for added unpredictability and can be used as counter defensive overplays on the basic set play. Fist Out 1-4 Set - Coach Downs, high school coach of Harrison Barnes and Doug McDermott, uses the Fist Out 1-4 set to stretch the zone defense for an open corner shot off a pin down screen. Box Alignment - Legendary coach Pat Summitt shows you how to gain a wide-open mid-range jump shot by screening in an entire side of the zone from the box alignment. 1-4 Low Set - Thom Sigel, two-time Illinois State Championship Coach, demonstrates how to msdirect the defense from this "1-4 Low" set to create an open gap under the rim for your inbounder to get an easy layup. 1 and 2 Plays - Use flare, stagger and shuffle screens for multiple scoring opportunities with the "1" and "2" inbounds plays. Coach Izzo demonstrates the "golden" inbounds play that uses simultaneous screening actions off of a dribble handoff to give you three different scoring options that are incredibly difficult for the defense to cover all at once. White Play - Villanova Head Coach Jay Wright shows how to score with less than 3 seconds left in the game. Depending on the amount of time left on the clock, Coach Wright explains how to use different options within the play to get the best shot possible. 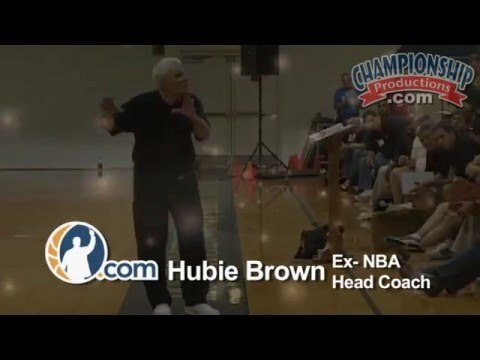 Double - Hall of Fame coach Hubie Brown walks through a "double" sideline inbounds play that gives you the look you need for a game-winning basket using double screens and back screens to create several inside and outside scoring opportunities. Indiana Head Coach Tom Crean shares the details to three end-of-game plays to inbound the ball the full length of the floor to score. He also shows how each play has a chance to win with five seconds or less.